Rebelscum.com: Hasbro: The Black Series 6-Inch Zuckuss Has Been Found In Canada At Toys "R" Us! 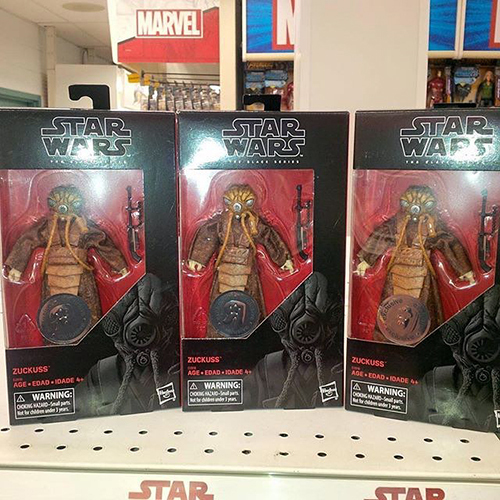 Hasbro: The Black Series 6-Inch Zuckuss Has Been Found In Canada At Toys "R" Us! Hasbro's The Black Series Zuckuss 6-inch action figure is reportedly hitting stores now! This figure is a Disney store exclusive in the US.